NAMIBIA is exploring every opportunity to achieve the United Nations ambitious treatment target to help end the AIDS epidemic by 2020. 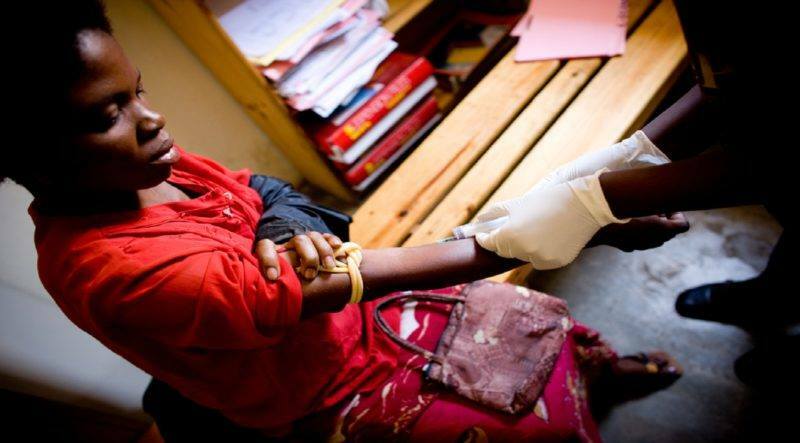 New World Health Organisation guidelines recommend offering HIV testing and counseling to couples, wherever HIV testing and counseling is available, including in antenatal clinics. The Namibia Demographic and Health Survey (NDHS) 2013 states that testing 29 percent and 39 percent, respectively reported that they had been tested for HIV prior to the survey and the result of their last HIV test was negative. The proportions for women and men age 50- 64 were 18 percent and 28 percent, respectively. It is possible that some respondent knew they were HIV positive but were unwilling to disclose their status to the interviewer. For couples where only one partner is HIV positive, the guidelines recommend offering antiretroviral therapy to the HIV positive partner, regardless of his/her own immune status (CD4 count), to reduce the likelihood of HIV transmission to the HIV negative partner. The Survey further noted that among women, the percentage who receive counseling and testing as a couple ranger from 20 percent in Ohangwena to 30 percent in Omaheke. Among men, the percentage was lowest in Hardap 17 percent and highest in Omusati 36 percent were most likely to have been counseled and tested as a couple. Today, only 40 percent of people with HIV globally know their HIV status. Up to 50 percent of HIV-positive people in on-going relationships have HIV-negative partners they are in a serodiscordant relationships. Of those HIV-positive individuals who know their status, many have not disclosed their HIV status to their partners, nor do they know their partners’ HIV status. Consequently, a significant number of new infections occur within serodiscordant couples. Recent evidence confirms the benefit of early ART for people with a CD4 count above 350 cells in preventing transmission to HIV-negative partners. In order to benefit from such opportunities, couples should be supported to test together and disclose their status to each other and access prevention, care and treatment services. HIV treatment is a unique tool in the AIDS response, preventing illness and death, averting new infections and saving money. As hopes for ending the AIDS epidemic depend in large measure on the world’s ability to provide HIV treatment to all who need it, in a rights-based approach, final targets for universal treatment access are critical.